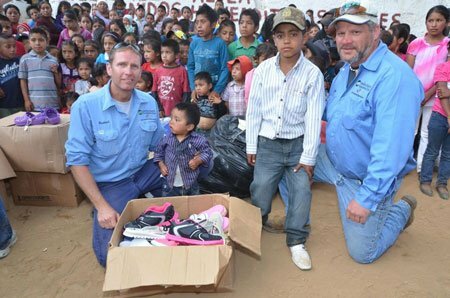 In addition to constructing power lines, the men assisted in distributing more than 1,000 pairs of shoes, hundreds of pairs of eye glasses, Bibles and other items to the villagers prior to departing the villages. The items were donated by Electric Cooperatives of Arkansas employees from across the state. Additionally, about $1,000 was donated by employees. 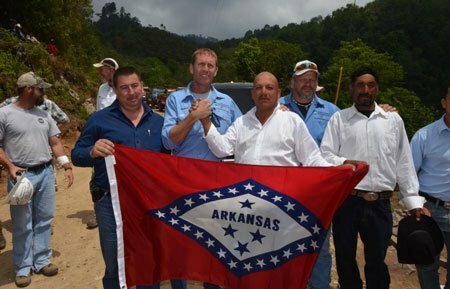 Combined with a 2013 project Arkansas electric cooperative linemen have assisted in providing electric service to more than 770 rural Guatemala residents that otherwise would not have service. The Electric Cooperatives of Arkansas comprise 17 electric distribution cooperatives; Arkansas Electric Cooperatives, Inc. (AECI), a Little Rock-based cooperative that provides services to the distribution cooperatives; and Arkansas Electric Cooperative Corp. (AECC), a generation and transmission cooperative. The distribution cooperatives provide electricity to approximately 500,000 homes, farms and businesses in Arkansas and surrounding states. Ouachita Electric Cooperative serves approximately 9,500 members in Bradley, Calhoun, Dallas, Nevada and Ouachita counties. Incorporated in 1939, the cooperative is based in Camden with a district office in Hampton. The locally owned and managed organization has 39 employees. .
Linemen and their respective cooperatives that participated in the project are: Kenneth Byrd and Christopher Tedford with Arkansas Valley Electric of Ozark; James Ray Hassebrock and Mark Wayne Tomiello, Carroll Electric Cooperative of Berryville; Michael Counts and Craig Weisenbach, Clay County Electric of Corning; Randy Evans, First Electric Cooperative of Jacksonville; Shawn Dorflinger and Richard Freeland, Ouachita Electric Cooperative of Camden; Don Pinkley and Joe Cooksey, Ozarks Electric of Fayetteville; Steve Rooney, Petit Jean Electric Cooperative of Clinton; and Jimmy Dean Sharp and Todd Spakes, Southwest Arkansas Electric Cooperative of Texarkana. Doug Evans, safety manager for the Electric Cooperatives of Arkansas, served as the project coordinator. Shawn Dorflinger and Richard Freeland with Ouachita Electric Cooperative of Camden are preparing to work with linemen from other Arkansas electric cooperatives to perform a mission from the cooperatives’ history books by bringing electricity to rural residents, but this time the residents live in Guatemala. 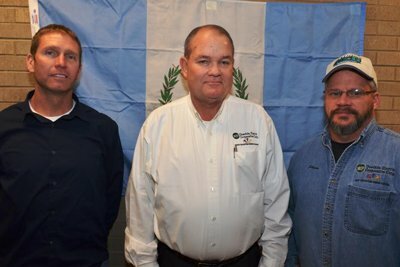 Another group Arkansas electric cooperative linemen assisted in providing electric service to more than 450 rural Guatemala residents last year.